The other day, when I told an employee what to do, he wanted to know why. This was a bit of a surprise. My underlings don’t need to know why any more than I need to have a good reason why! WHAT does it matter WHY we do what we do? 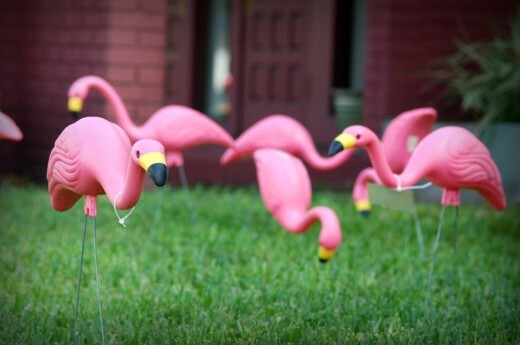 WHY do people put pink flamingos in their yard? It’s a silly question with no real answer. WHY is for dreamers and idealists and hippies. WHAT is for those who actually get things done and contribute to society. WHAT is the application, whereas WHY is the theory. (And we as leaders all know that theory is completely useless.) What’s the point in planning your life ten years in the future when you live in the here and now? You’ll get there eventually. WHY is for philosophers and those with too much time on their hands. WHAT is for bosses and workers and for everyone who is too busy to spend all their time thinking about and trying to understand WHY. I’m not going to plot out my actions because right now is all that matters. WHY is a distraction — a mirage — because there’s really not a good reason WHY we do anything. Everything is just a roll of the dice. Life is random, anyway. But I actually have thought of a reason — because I want to! That’s what I told the employee. I’ll just keep telling him WHAT to do, which is my job as a nanomanager. And this is just how it is…. WHY is huge. Start with it! You can either tell WHAT to your team members every time, or explain WHY until it sticks. Once your team members understand WHY, they will suddenly become self-motivated to determine the best WHAT for the situation at hand. You will create a company of people who manage themselves and solve problems on their own, freeing you to do what only you can do. Why do you do your job? What drives you?